AEIOU Kids Club has another surprise for you: fantastic Kids Party Venues for hire in London. If you are going to give a party or event for a large number of guests you’ll certainly need to hire a kids party place. The problem begins when you search for the perfect one. It’s not an easy task, and that’s why we have found the best venues for parties for hire in London. We must have in mind that choosing children’s party venues requires a lot of attention and care. Ensure it has all the security issues is crucial! Hiring Kids Party Planners you will also enjoy party entertainment packages, children’s party entertainers, party catering, party decoration, and children’s party places! We have many places to hire for parties in several areas of London, like Camden, Stanmore, Stratford, Ilford, Dartford, Enfield, Croydon, Harringey, Hackney and more. 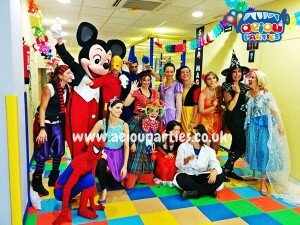 AEIOU Kids Club only works with the best kids party venues for hire in London, so there are no excuses not to hire us! There are no doubts that giving a party in Kids party places are just great and all kids love! However it is more expensive than giving it at home, but sometimes you don’t have other option, especially if you have lots of guests! You can make your kids parties even greater hiring some birthday party entertainers! We have the best ones! When you look for Kids Party Venues for hire in London, you must pay attention to a couple of things. You have several types of kids party places that you can hire (indoor, outdoor, beach, playgrounds, and so on). That’s why you need to decide first what kind of party you will give (birthday party, themed party, Christmas Party, community party, school party, and so on). How many guest will you have in your party? Check the capacity of the kids party places and visit them to make sure they have everything you need. Usually, kids party venues for hire in London have small facilities, so make sure they are appropriated to you. Check other services that venues for parties in London offer to their clients. Usually they have decoration and catering services. It’s quite expensive hiring kids birthday party venues in London, So check everything that is included in the price, and what the cost per person. 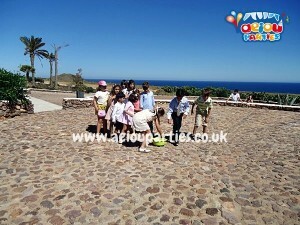 There are several children’s party venues offering party decoration. So, if you don’t want them to make it for you, ask them if it is possible and if they can deduct from the final cost of Kids party venues in London. Make sure you’ll have enough adults in your party responsible for monitoring children. If you won’t ask in the birthday party places in London if they can treat of this issue. What is necessary in Kids Party Venues in London? We still have some other things to tell you about Kids birthday party venues for hire in London. Choose a birthday party places in London close to your kids’ school. It’s better to make sure it is close to everyone. Make sure that the kids party venues in London follow all the security issues. Ensure that the venues for parties in London have clean facilities. We are here to make your job a little bit easier, so we have many venues for parties in London to suggest you. Have in mind that hiring AEIOU Kids Club you are getting not only the best birthday party places in London but also our services. Church Halls – Huge places at very low prices where you can host your kids parties. Usually they come with a small kitchen and toilet facilities. Also can add some tables and chairs so you just need to decorate and go! Play Areas – These are venues that have soft play toys and areas, giant labyrinths, ball ponds, places to climb and other attractions. Banqueting halls – Regularly places ideal for 1st birthday parties or big event, where you can have 50-200 people sit and enjoy a high class meal, and then, why not, have an entertainment and dancing time! Waterlily Venues – In the middle of the town, this is one of the best Kids party venues for hire in London. Cufos – Located on top of The Avenue, London, this is perfect for kids parties and birthdays. In fact, it is one of the best kids party venues in London. Finchley Golf Club – This one is simply awesome! This is one of the best kids birthday party venues in London! Located on Mill Hill, London, you will enjoy a brilliant kids birthday place and also toddler party venues! Hollywood Arms (Pub) – Located in Chelsea, this party venue is perfect for all types of events. St john church hall – If you are looking for party venues in Bromley, you just found it! Contact us for further info and prices. Now you can have everything you have ever dreamt in your party hiring us. Apart our kids party venues in London you still can enjoy our entertainers, party entertainment packages, decoration, bouncy castles, catering, and everything included in your party planning. You can have our fantastic services not only in London but also in Birmingham, Manchester and Liverpool. Isn’t it great? Do you still have any doubts that we are the best kids party company in all the UK? Contact us and find everything we have to offer you! Book now our entertainers with our party packages and one of our Kids party venues in London!